Exclusive Bigg Boss 9: Prince Narula's Grand Birthday In The House! Home TV Salman Khan Bigg Boss Season 9 Exclusive Bigg Boss 9: Prince Narula’s Grand Birthday In The House! 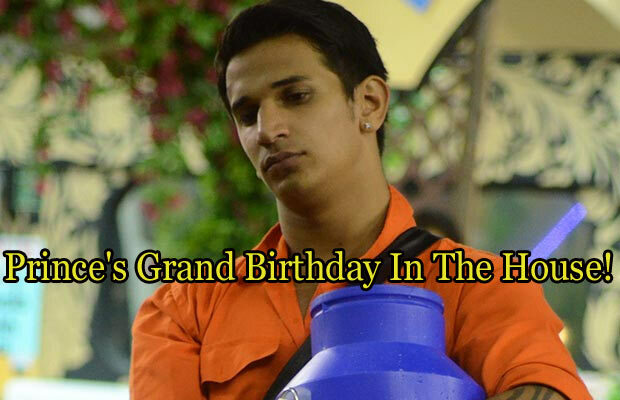 Exclusive Bigg Boss 9: Prince Narula’s Grand Birthday In The House! [tps_footer]Bigg Boss 9 contestant Prince Narula turned 25 on Tuesday, 24 November. Unfortunately he is locked up in the “Bigg Boss 9” house, but we exclusively reveal that the handsome hunk will ring in his birthday in grand way with his housemates. Yes, Bigg Boss has organized a grand party for Prince Narula as he is away from home and not feeling alone on his birthday, Bigg Boss gave a surprise to him. Music, yummy munchies and much more was organized for Prince Narula‘s birthday. Well, after stressful luxury budget task, it was party time for the housemates. Meanwhile, his friends outside have overloaded with special birthday messages on social networking sites. We wish a very Happy Birthday to the handsome hunk! Also Read: Bigg Boss 9: Mandana Karimi Badly Abuses Kawaljeet Singh! Previous articleExclusive Bigg Boss 9: Suyyash Rai’s Comment On Kawaljit Singh Creates Ugly Fight! Next articleExclusive Bigg Boss 9: You Won’t Believe What Surprise Rochelle Rao Will Receive On Her Birthday!